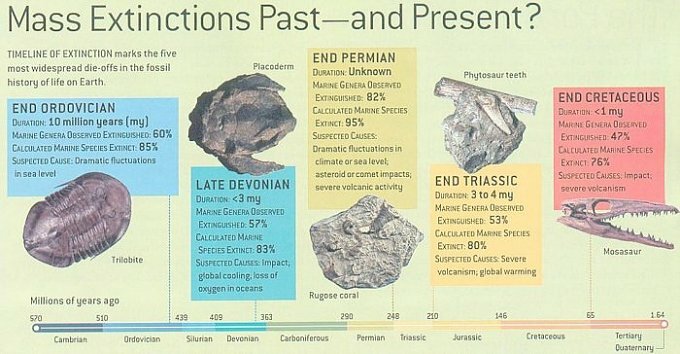 The earliest shark fossils date back to almost 450 million years. Dinosaurs did not appear until 230 million years ago, meaning sharks have lived about 3 times as long as dinosaurs, and 100 times as long as hominids (human-like animals). Most shark fossils are teeth or skin (fossilized into scales), and these help scientists determine where and when sharks existed in earth’s timeline. There have been 5 mass extinctions in the past 439 million years; sharks have survived them all. These extinctions can allow surviving species to enter new habitats and evolve adaptions for their new environments. These adaptations have allowed sharks to diversify over time, with some prehistoric sharks having very peculiar characteristics. 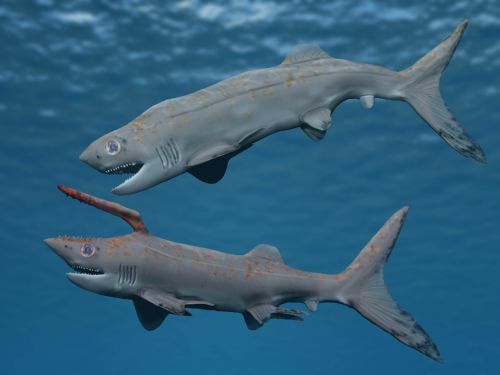 Falcatus was the first known shark to show sexual dimorphism (differences between male and female). The male had a large spine coming out of its head, thought to be used during mating. The first modern sharks emerged sometime during the Jurassic Period, and still exist today. 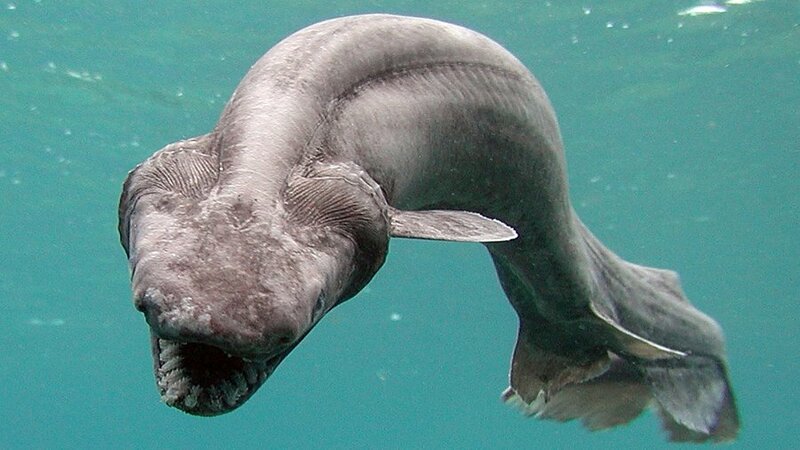 These first sharks included the frilled shark, pictured here, as well as the six-gilled and seven-gilled sharks. 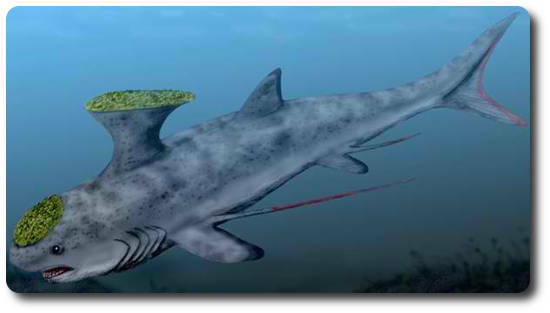 Following the extinction of dinosaurs, other deep-water sharks began to emerge, such as the cookie-cutter and lantern sharks we have today. Perhaps the most well-known prehistoric shark is the Megalodon. 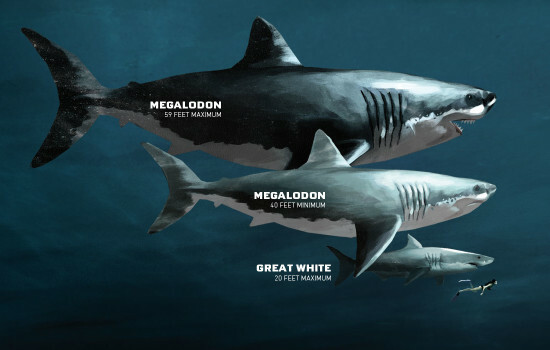 Megalodon could reach immense sizes, and was thought to have hunted marine mammals and other large ocean creatures. Although it lived until 2.6 million years ago, Megalodon teeth are still found today, with the largest tooth measuring at 7.25"
The first representation of a shark-human encounter was discovered drawn on a vase dated from 725 BC. 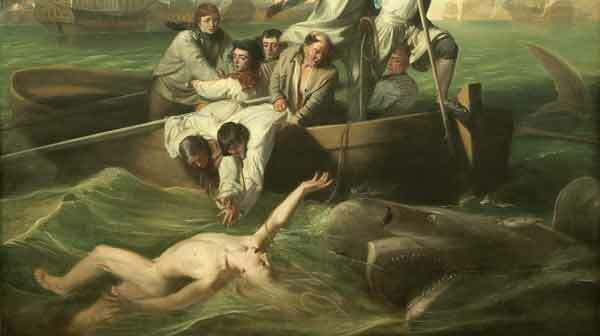 References to sharks are found throughout Greek legends and accounts, and many cultures around the world saw sharks as cultural symbols, such as gods or the spirit of their ancestors, while other cultures saw them as malevolent demons. White Sharks were first described in 1776 in a journal, while stories of monster sharks persisted in ships’ logs and sailors’ tales. The first major, modern work on classifying sharks was not completed until the early 1800s with the publishing of Systematische Beschereibung der Plagiostomen. In the Americas, Eugene Gudger was considered the first person to study the biology of sharks in the early 1900s. Sharks came into the spotlight in the mid-1900s during wartime, when soldiers were left floating in the ocean after battles, resulting gin many shark-related casualties. Following these reports, the US Navy opened the Office of Naval Research (ONR), which aimed to study shark behavior in an attempt to understand their relationship with humans. Much research was completed through this organization on the sensory systems of sharks, which was previously unrecorded. 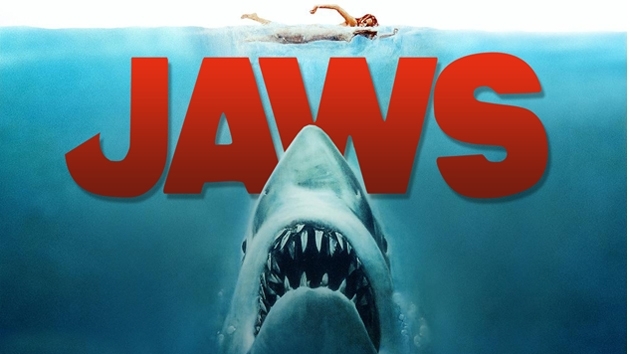 In 1974, Peter Benchley published ﻿Jaws﻿, and the popularity of the novel resulted in the creation of the classic movie, which became one of the most influential movies in history in regards to sharks. 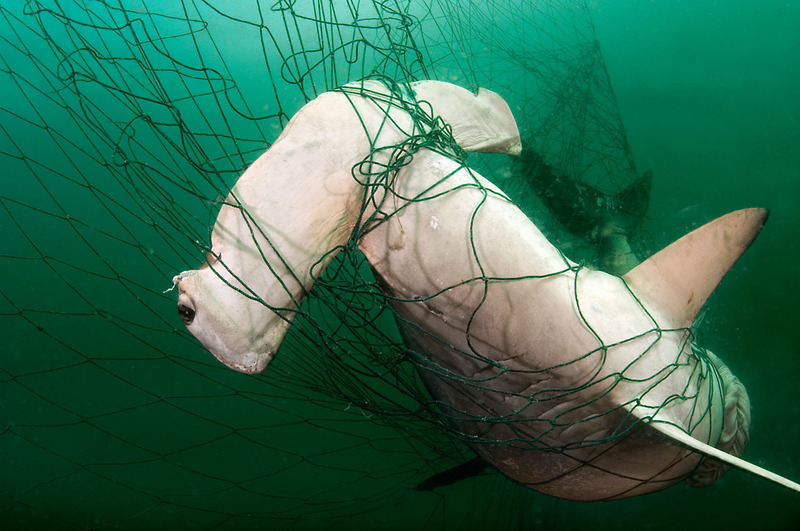 Following the movie’s release, a rise in shark-fishing tournaments resulted in a mass decline in shark populations and a highly negative public opinion of sharks. This recreational fishing of sharks would continue unregulated for two decades before commercial fishing of sharks entered into US history. Conservation groups requested a fisheries management plan for sharks in light of these unregulated fisheries, and in 1992 NOAA developed a management plan for sharks on the East Coast, although the data that was used in this plan was considered deficient. Most fisherman were not recording catches, and therefore the data collected for the management plan was incomplete. 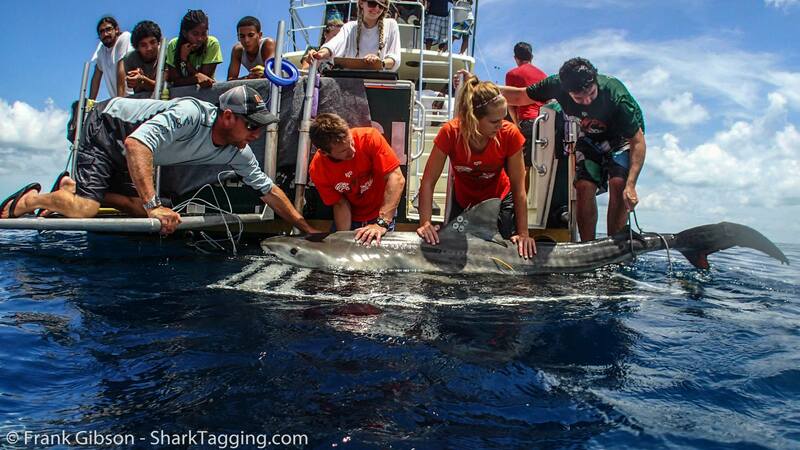 Today, sharks and humans have a complicated relationship. Shark populations are in severe decline due to human activities, and without immediate action, scientists are predicting that sharks could be facing extinction for the first time in history. 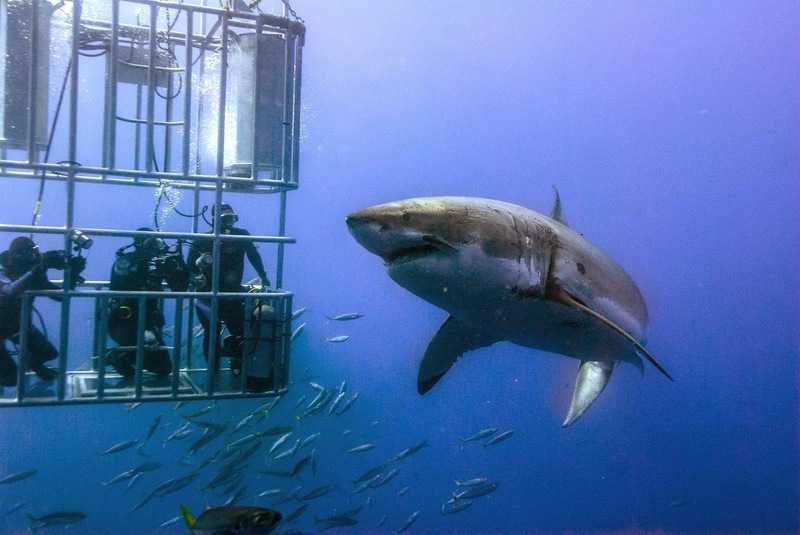 However, shark ecotourism has allowed nations to offer protection to sharks, and as research into sharks increases, scientists are hoping to discover new ways to protect them.